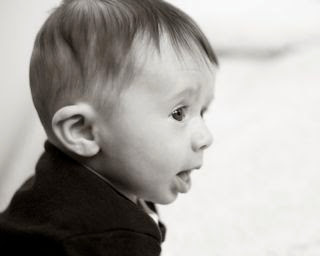 Anyway, today's post isn't anything grand, just kinda cute... 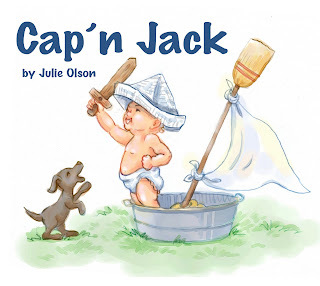 But I'm sure an editor wouldn't be fond of a shirtless, diaper-clad baby on a cover. I think they're pinchable though. In this book a toddler sets sail with his trusty mate Skippy (not skipper) in their own backyard. Yo-ho me mateys! (I think I have Pirates of the Carribean on the brain since my son watched a marathon of those movies yesterday while he was sick). 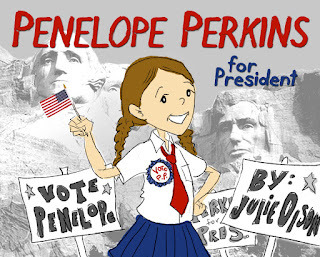 Today's picture book is honor of President's Day. 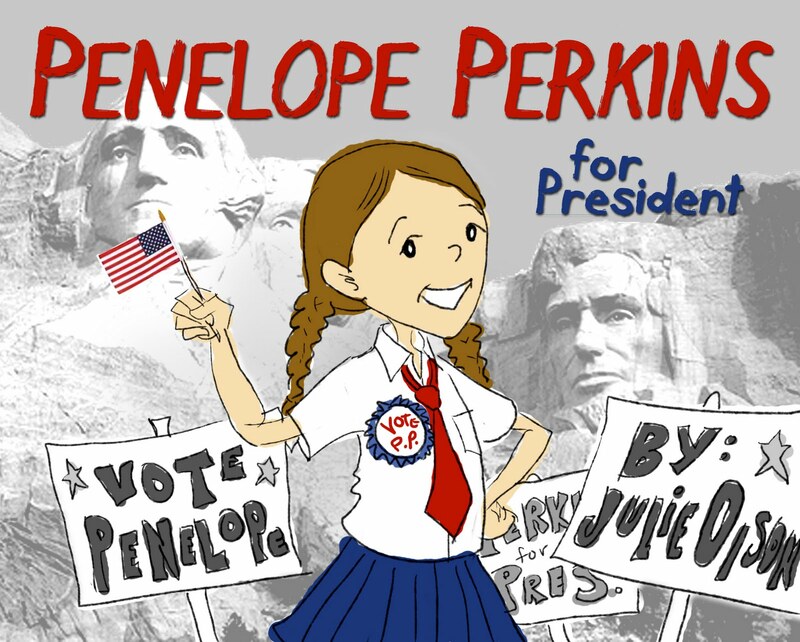 Watch out, someday Penelope may just make it. It's about time for a change. Wow, I've made it 20 days so far, posting 19 of them. 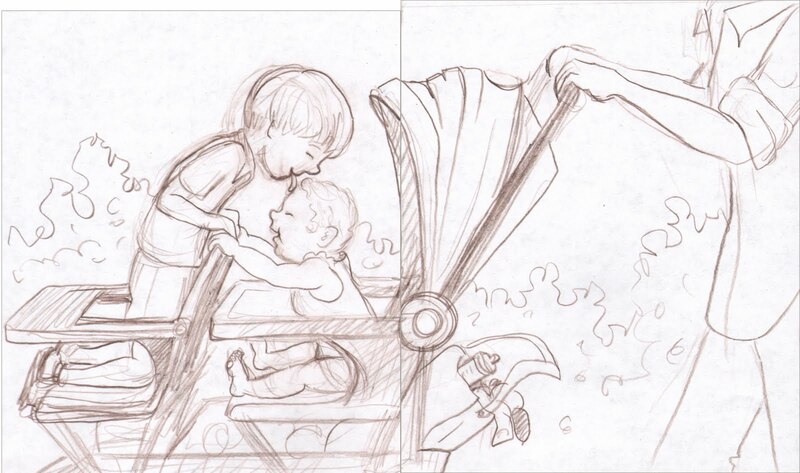 This one needs work on the illustration obviously but of course it's just a sketch/color comp book idea as usual. None of these are really final illustrations, I hope you can tell. So you probably see a theme continuing from yesterday's post but it's really just a spin off idea. This idea is for a concept book on the days of the week. 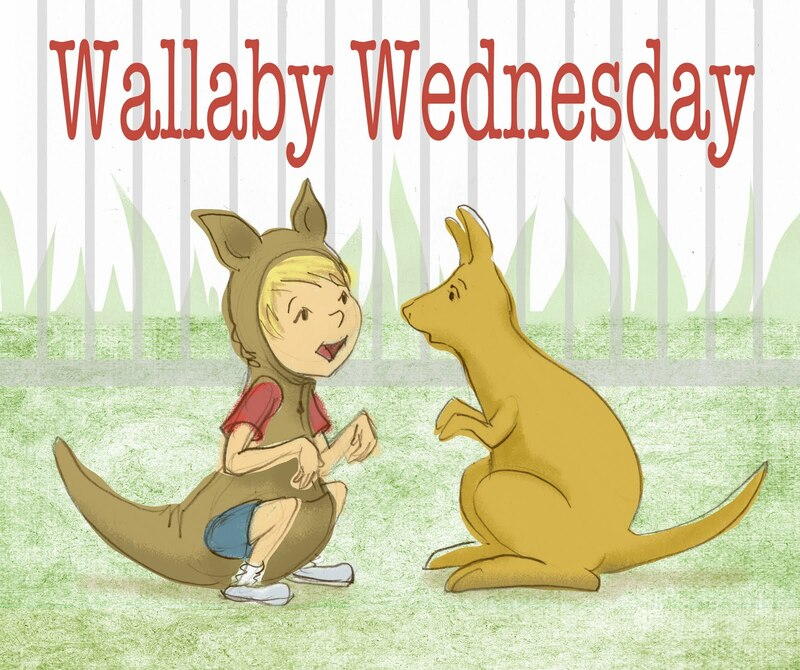 A little boy visits the zoo each day and acts like one of the animals being kind of crazy and wearing the animals out in the process. 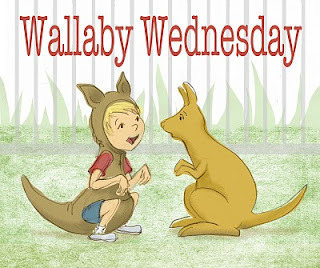 Monkey Monday, Tiger Tuesday, Wallaby Wednesday, Thoroughbred Thursday (gotta work on that one), Froggy Friday, Salamander Saturday and finally SLEEPY Sunday (where all the animals and the boy are asleep from their week of fun). Picture intensive, word light. This book idea came off my Doggy Day book idea...a sequel. Maybe this will be an ebook as well. There are my next two app ideas. If you're interested in that, you can check out the app we already have out by clicking on Jujubee Books at the right. This is where I want to be today...on a beach! But I'm not, so I might as well imagine it. 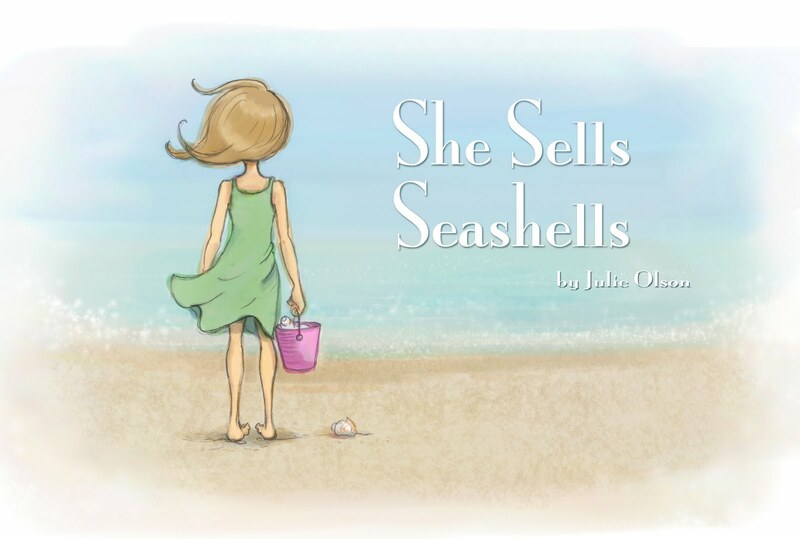 She sells sea shells, by the sea shore. Once again I'm combining posts, my daily marathon post and Illustration Friday. 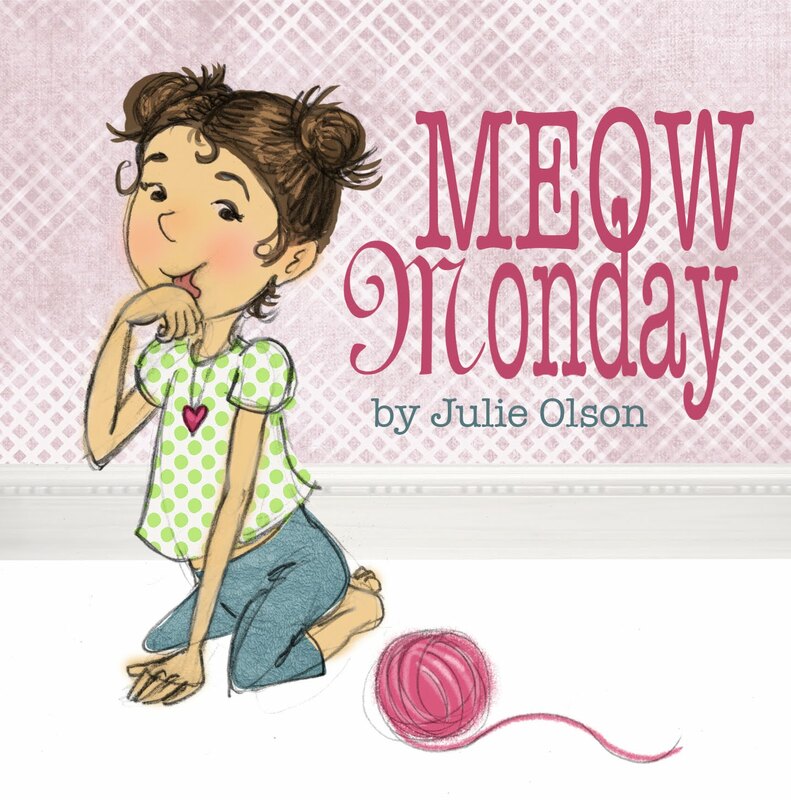 The theme for Illustration Friday is "sweater." Simple enough to incorporate. Here's an idea for a book. 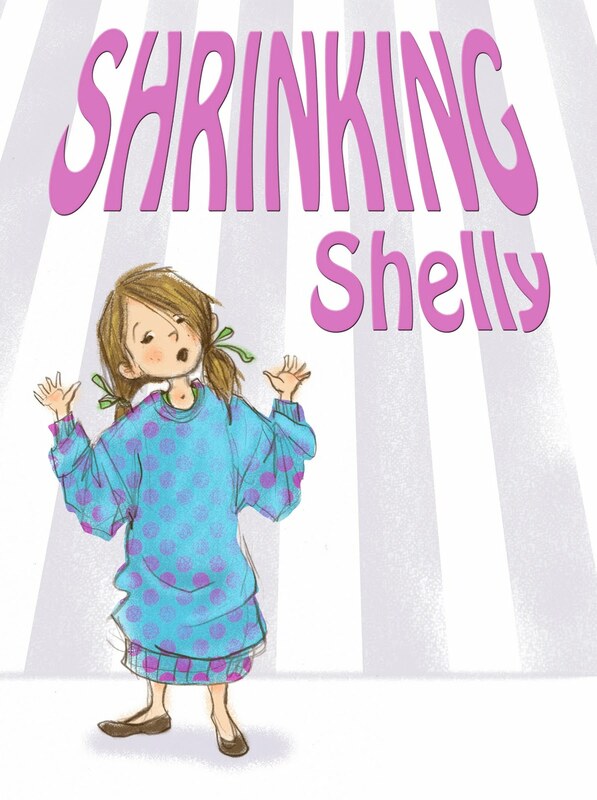 Shelly thinks she's shrinking (because all her friends are getting taller and she's not). Yes this may be a joke on my own life...I'm a shorty. 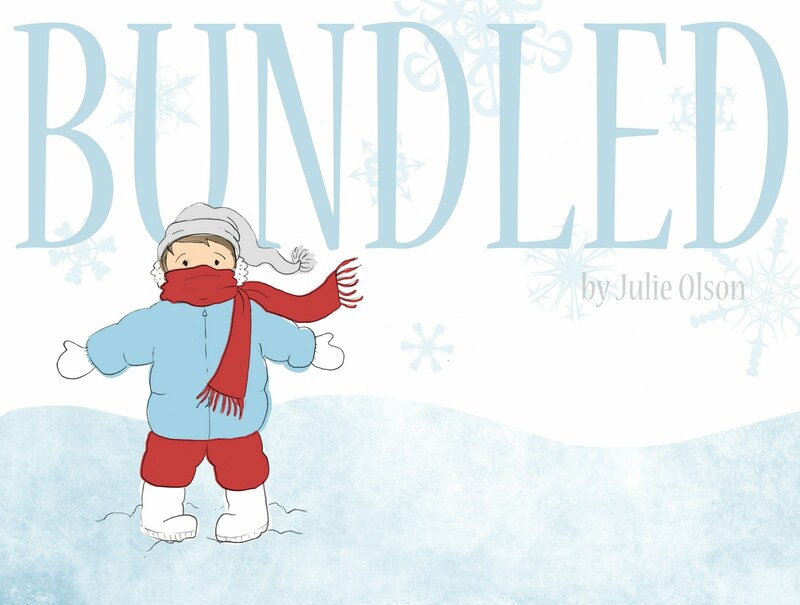 But hey, could make a great picture book. 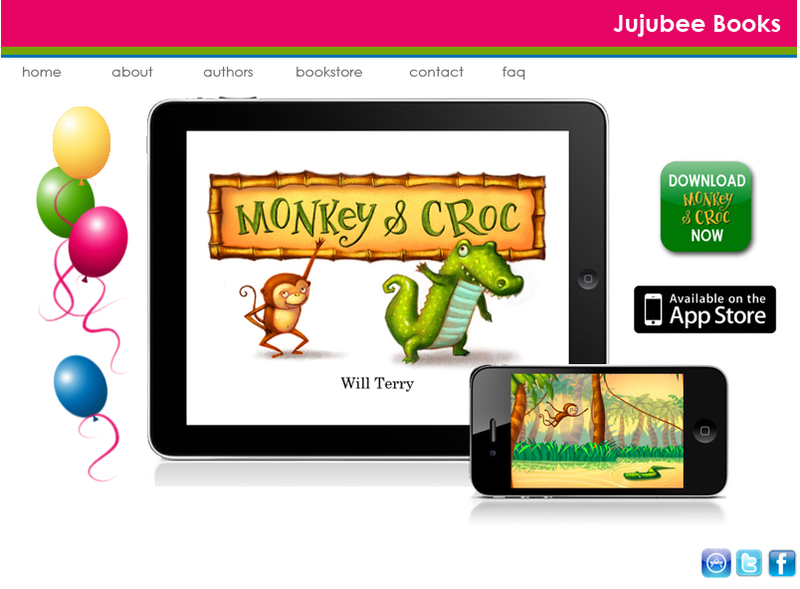 Also, don't forget to check out my Children's Book Apps for iphone and ipad. The 3 year old I was babysitting this morning couldn't get enough of the monkey and croc sound effects. She wanted the story again and again. 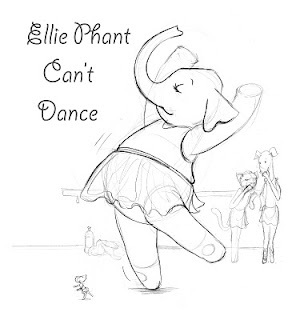 A book about Ellie Phant, the elephant, who wants to be a Ballerina. So, I didn't make it yesterday. So I guess I only have one more free day for the rest of February. But hey, I'm not quitting. Today's post is a spin off of Goldilocks (in name only). 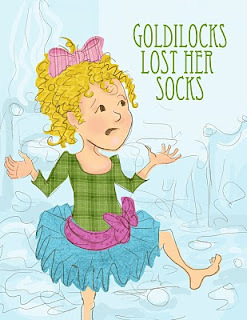 This is thanks to Rick Walton's Goldilocks project on his website. Thanks for the inspiration, Rick! 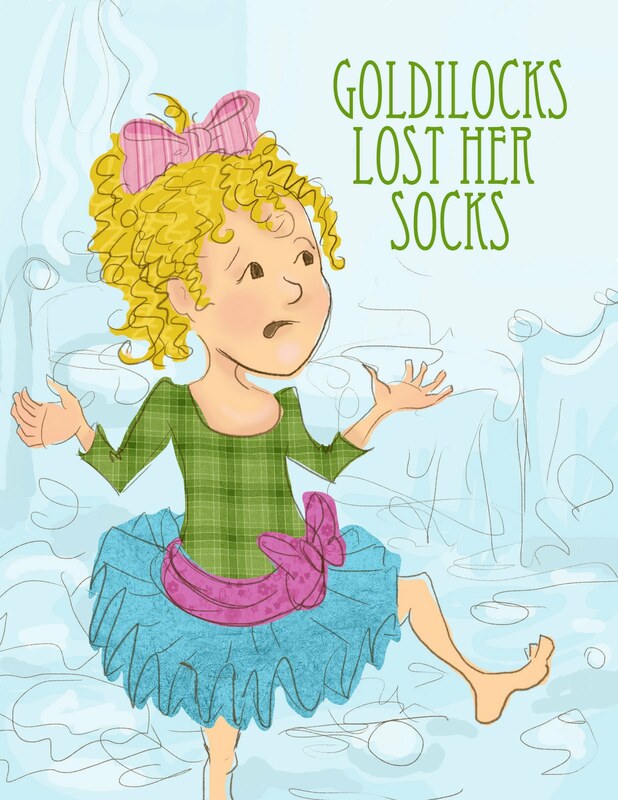 Premise: Goldilocks has lost her socks (among other things) because her room is so messy. So I've been working on finishing a dummy book all day today. It's actually one I've been working on for years but never finished. Here's to finishing! What's a dummy book? It's essentially a "fake" picture book. A mock up. 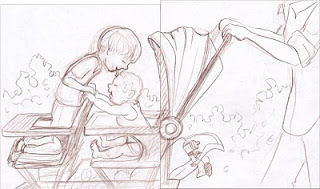 I don't have a cover for you but I will show a sketch. Hopefully I can finish up the dummy and start on the real thing soon. 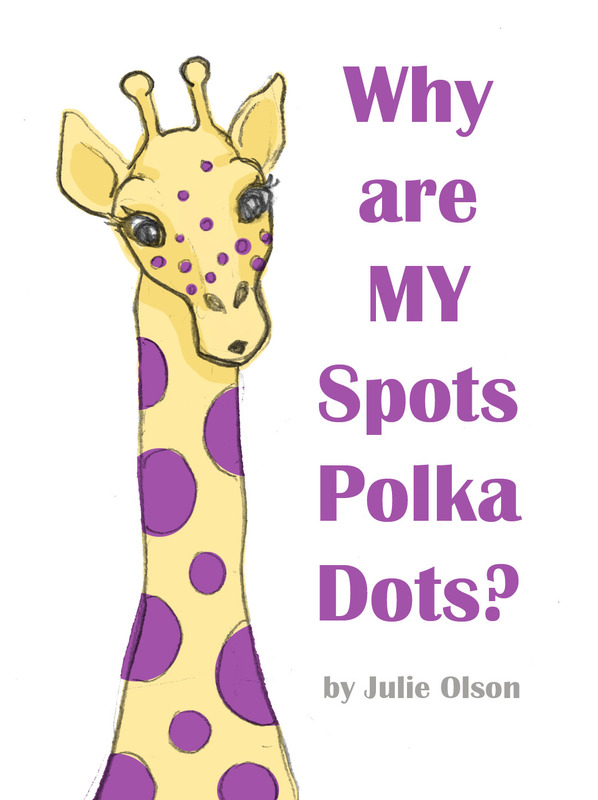 I think I might make this one into an iPhone/iPad app book...and an ebook. Well, these posts come late at night, but at least they come, right? 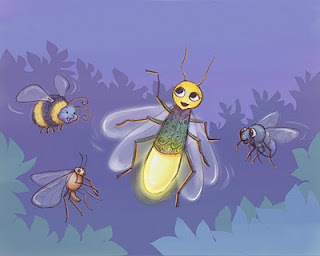 This is a story I actually have been working on for a while called "Firefly". I've got the words down but I'm trying to get the characters and the style pinned down. This one is a "NO" I think, but I don't have time to redo it right now. Gotta post somethin'. Maybe I need Will Terry to illustrate it. 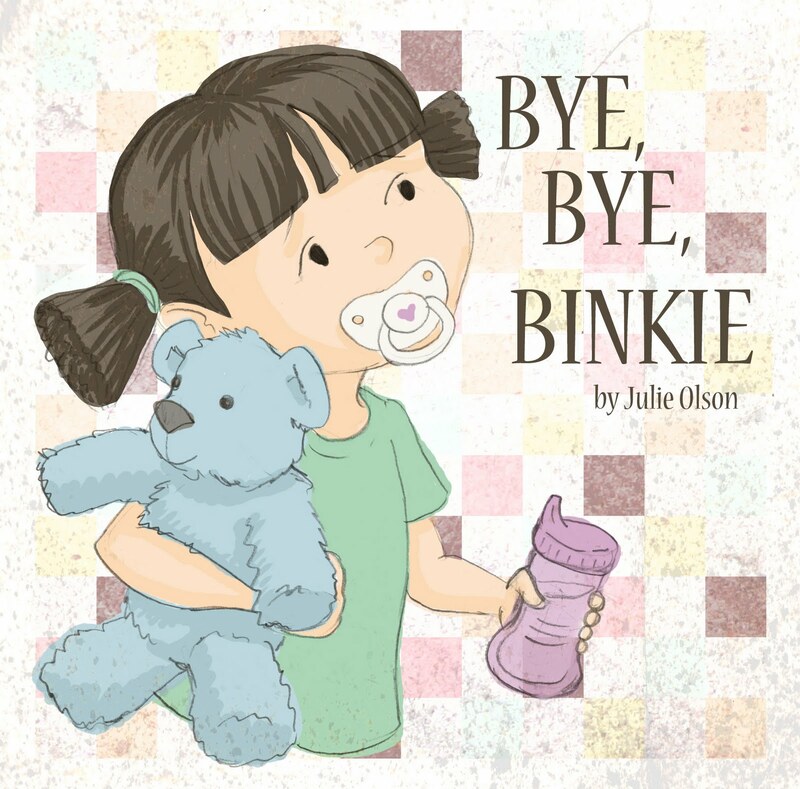 Jujubee Books was created in 2011 by professional author & illustrator, Julie Olson and her husband, Rhett Olson, after realizing the need for professional quality iPhone/iPad children's book applications. 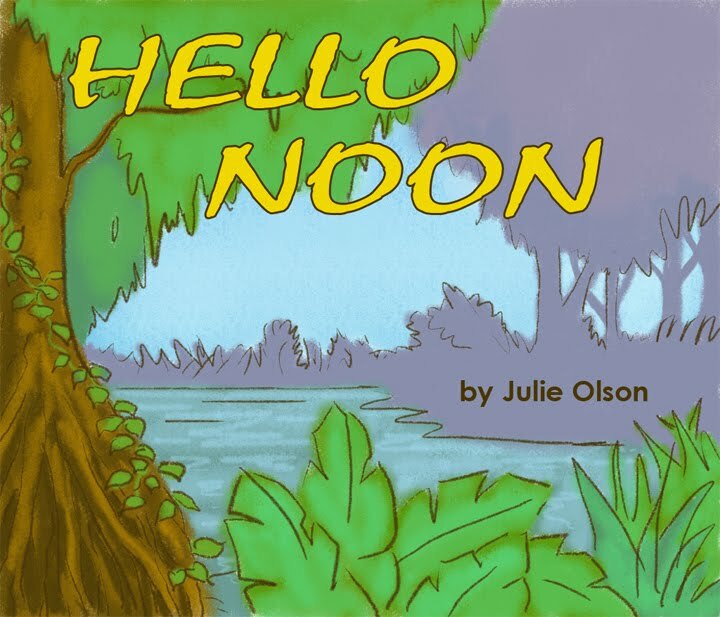 With her years of experience as a children's book illustrator and author and her husband's technical expertise, Julie knew she could provide just what iPhone/iPad users need...high quality children's book apps. Jujubee Books only works with professional children's book illustrators and authors to bring you better quality books for your children. Each book has been edited and reviewed by industry professionals before publication. This allows for a better quality product to be available to you. We do not simply allow just anyone with any book to pay a fee and create an app for our store. We work like a print publisher, accepting only books we feel fill a need and are top quality. 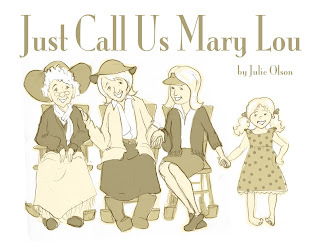 Here's a very girlie picture book. I have princesses on the brain (I've been illustrating a princess book for the last three months). It's about a kingdom full of princesses and one little girl who wants to be a princess very badly...until she realizes how prim and proper you have to act and how boring it all is. Then she's happy to be her. and a princess...and a princess...Princesses! Princesses! Princesses! Fair ones, tall ones, dark haired small ones. Smart ones, silly ones, fluff and frilly ones. Today I didn't illustrate a cover, just a character. These are what illustrators call character sketches. The story is called, "Frankly Frankie." 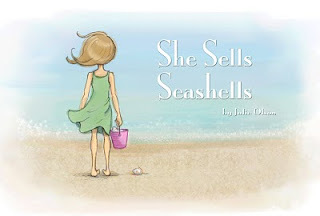 It's about a little girl who says what ever is on her mind. 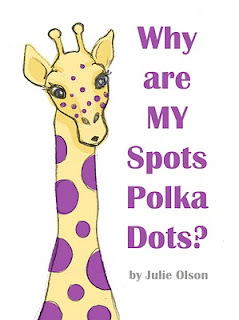 (this causes quite the silly, shocking, embarrassing moments) Might be better as an early reader chapter book. It's a little wordy. I didn't have time to paint this one today. But I'm excited to later. You get the idea though. This idea came from a trip to the museum I took with my dad and kids. My cute son pushed my dad around the exhibit in a wheelchair (he has bad knees and bone spurs on his feet). He slowly, quietly pushed and talked for the whole hour. It was sweet. 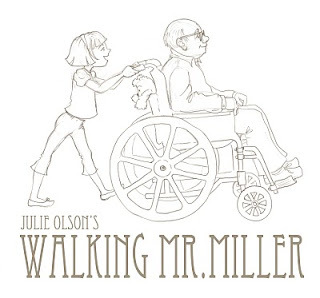 So in this book, a little girl, takes her elderly neighbor on a daily walk around the block, sharing life along the way. 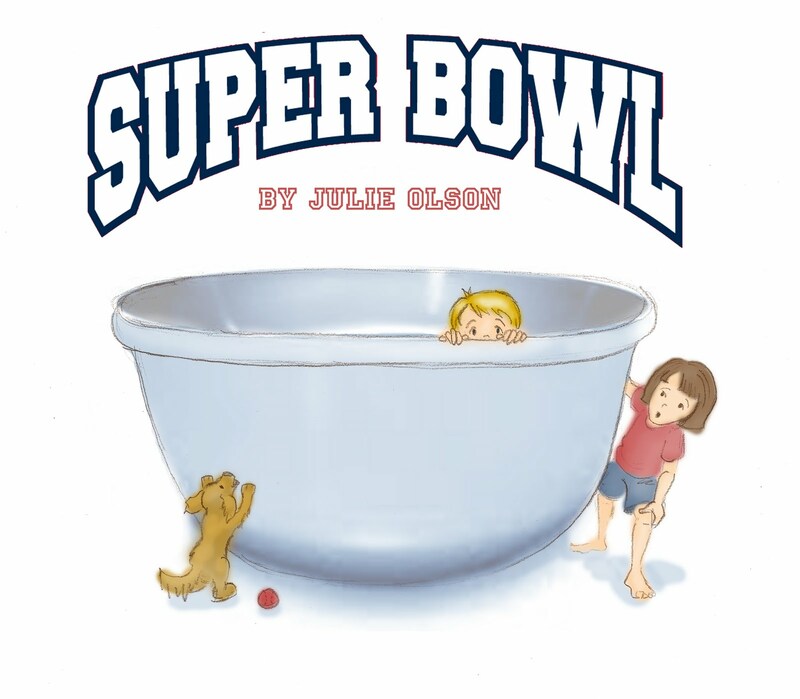 Today's picture book idea is in honor of the Super Bowl today AND my 7 year old daughter's question, "Is the super bowl a big bowl?" Sorry for the crude nature of the illustration. I'm not at home and my father-in-law's computer only has limited capabilities. I'm so thankful for a wacom tablet and for CS5 at home. So, have a good chuckle. But I wasn't going to stop running the marathon just because of a few obstacles. Goo, Goo! Ga, Ga! 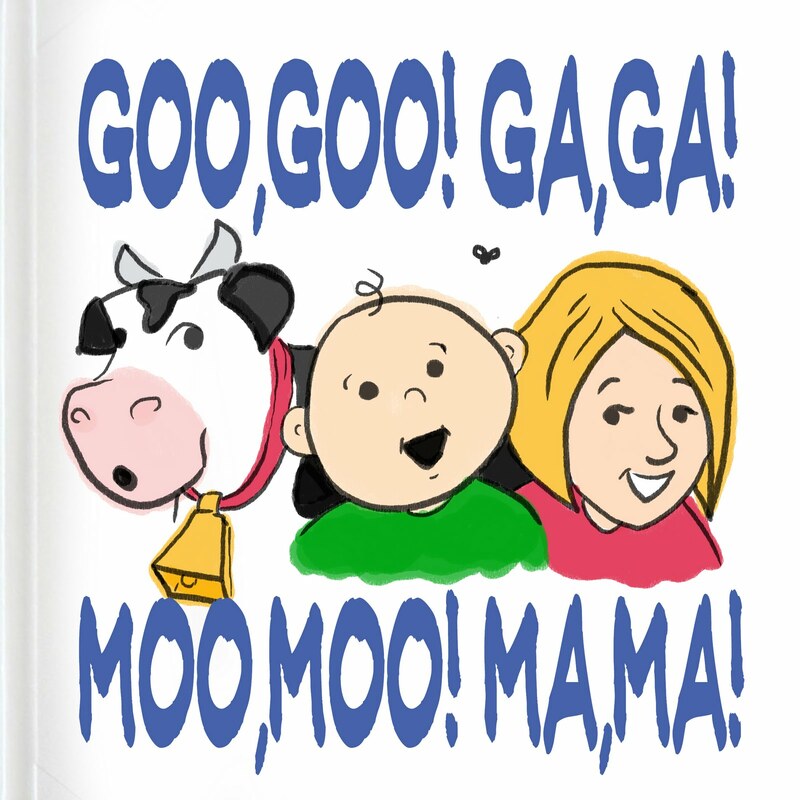 Moo, Moo! 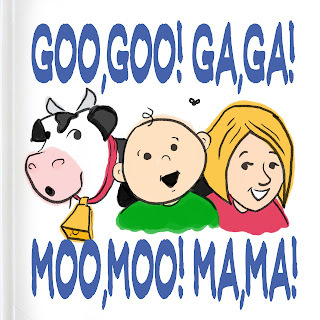 Ma, Ma! 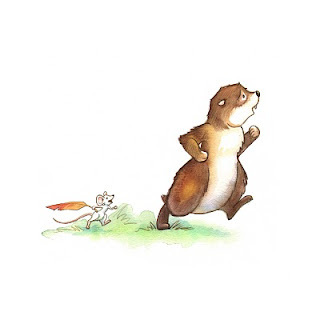 By the way, check out these awesome illustrators doing the picture book marathon too. I'm combining two posts in one today. 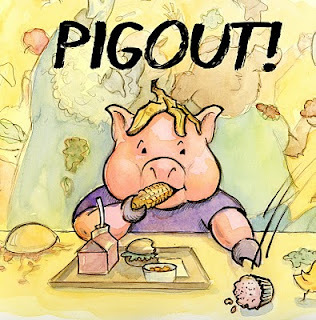 I haven't participated in illustration Friday for a while and I decided to work it in with today's picture book. The theme for Illustration Friday is "Surrender." 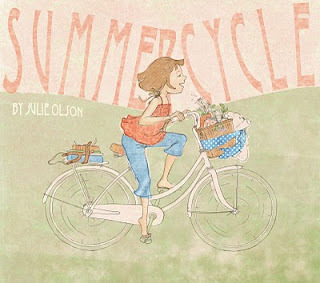 So surrender to your inner child and enjoy the simple things in life, like riding a bike. 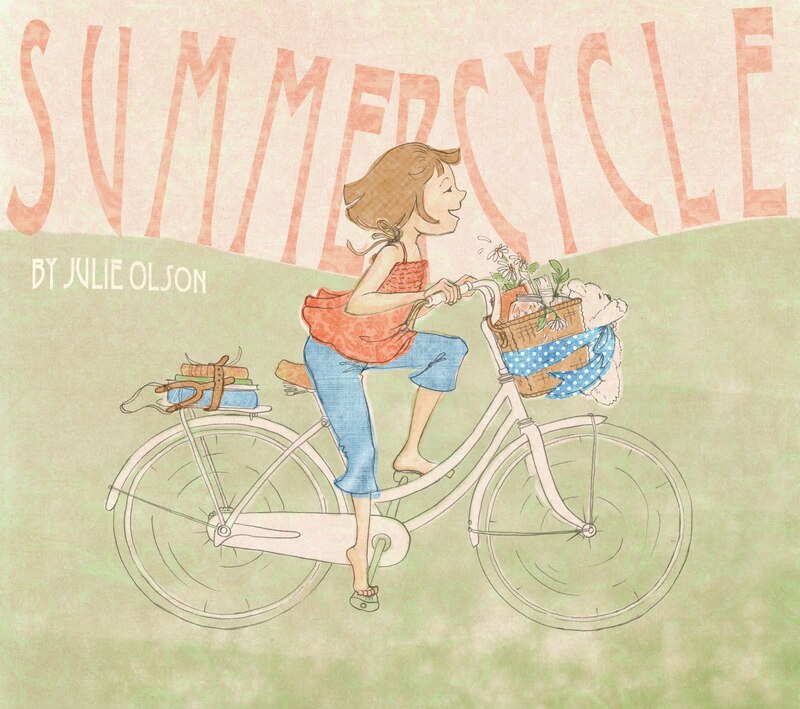 The picture book idea I had is called, "Summer Cycle," about a little girl and all the adventures she has one summer on her first bike. I did a little different style today. A sketch, a dab of digital watercolor, and then layers of paper textures and designs. I think I want to do more of it. I'm a little pressed for time today so the cover had to be the first thing that came out of my sketch pencil. If I were to redo it I think I might make it a little more dramatic...more crud all over the place, a real mess. And maybe a puppy licking up crumbs. 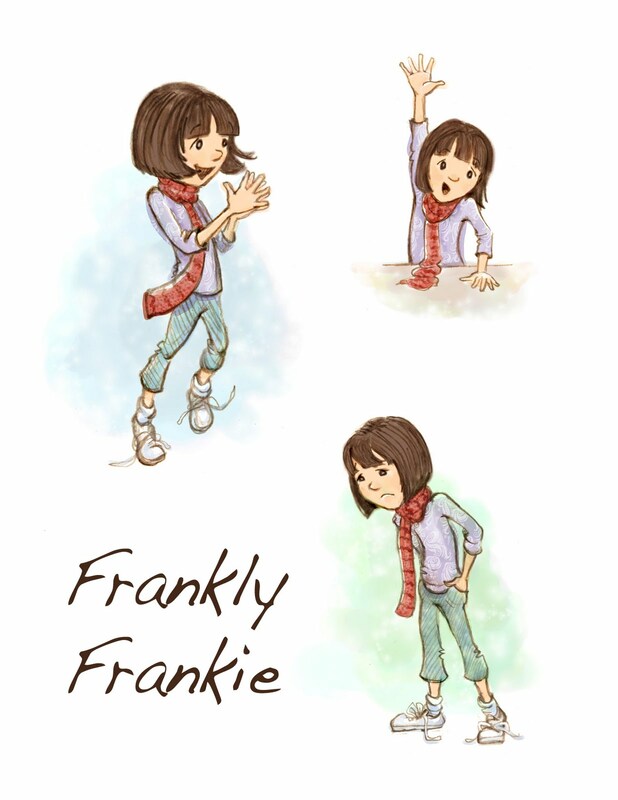 Puppies are always cute in picture books. 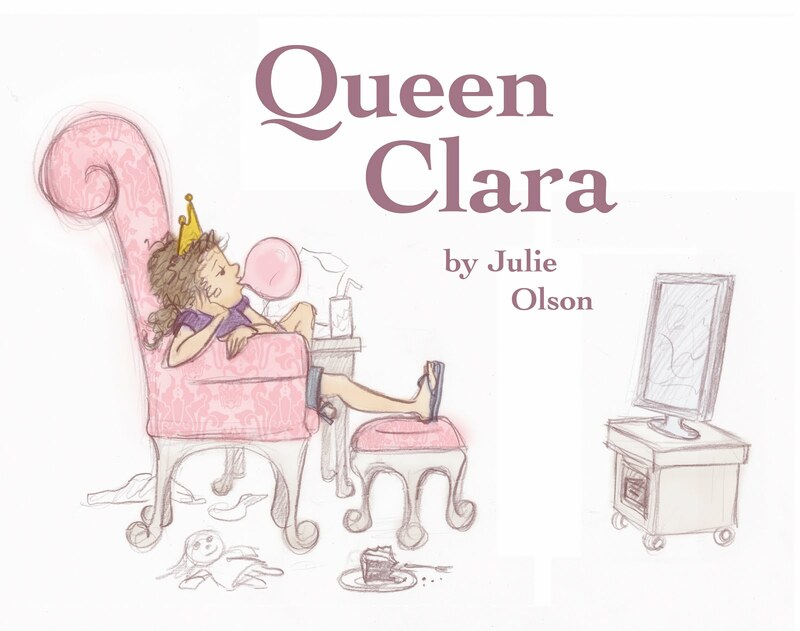 Anyway, this picture book idea is about a little girl who one day decides she's queen of the house...doesn't think she needs to lift a finger...and the chaos and mess that ensue. Probably too preachy for a real picture book, but could be made funny instead. I was so happy with Phil's prediction this year...Spring will come early. See the Washington Post article. I HOPE he's right! I'm ready for Spring. I think it happened in honor of Gus...MY groundhog. 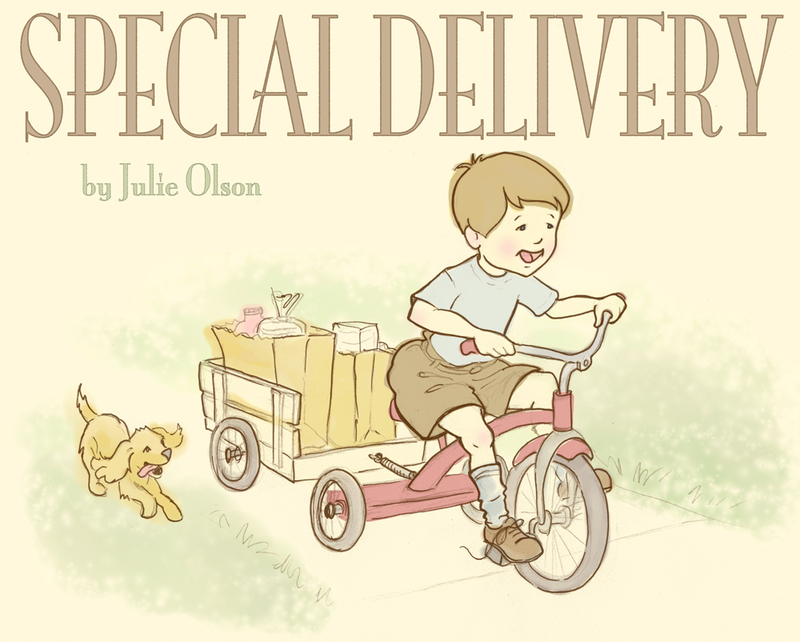 If you want to celebrate, feel free to pick up a copy HERE. 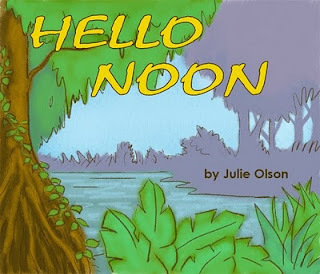 So I decided to do a take on "Goodnight Moon." I thought about being really satirical about it, but didn't have the brain power today. So it's just a jungle theme instead. But I can't decide whether to use the word "Hello" or "Good Day." What do you think? a bird cleaning its plume. and a stripy strong tiger who was swatting at shapes. Hello bird cleaning its plume. Hello elephant singing a tune. Hello bird and hello herd. Hello little bug and hello slug. Hello ants and hello apes. and hello to the tiger swatting at shapes. Hello jungle filled with trees. Ready. Set. GO! 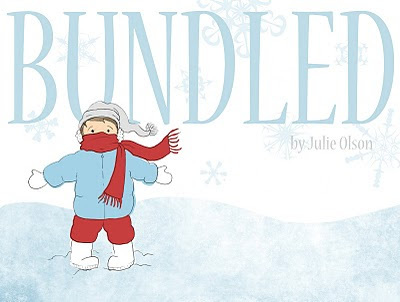 The Picture Book Marathon has begun. 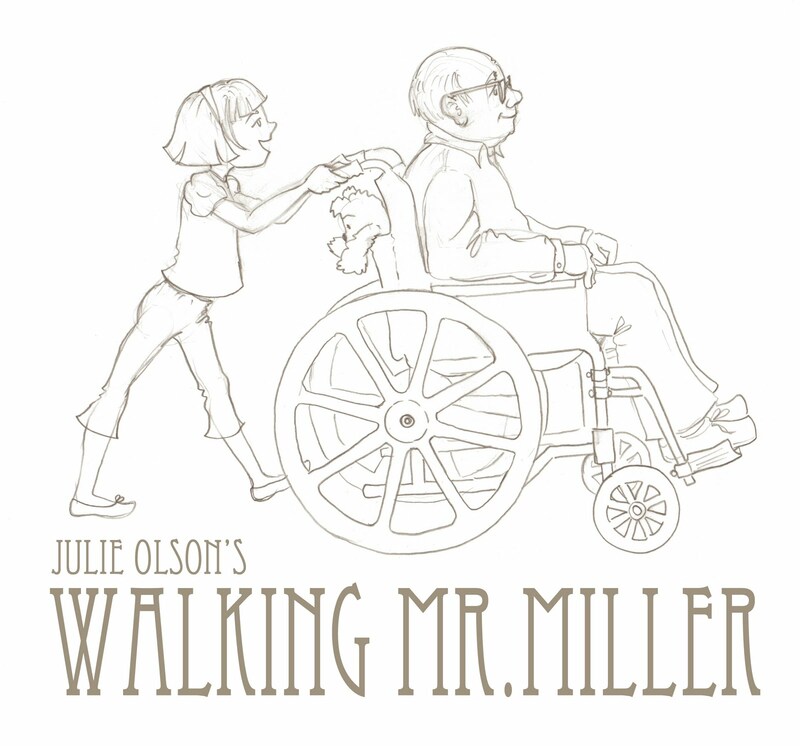 I think this will be easier when the big book I'm illustrating is finally finished. 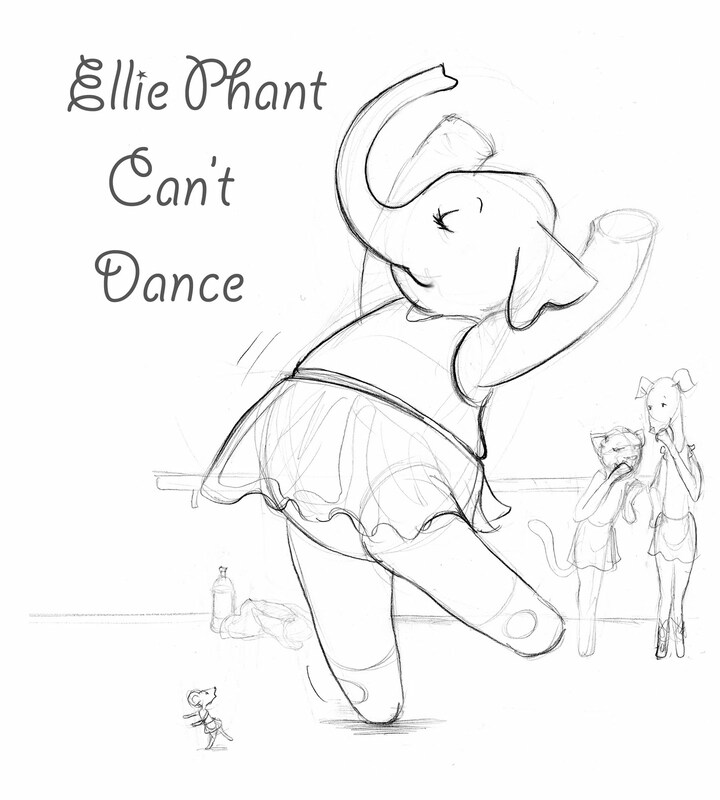 But I did squeak out a cover and an idea for a picture book today. It's called "Big. Little. Middle." 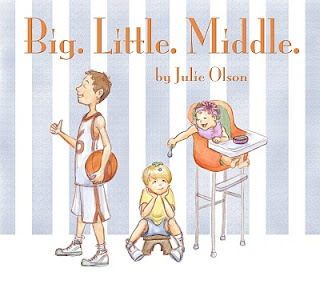 It's about a middle child who feels like nothing special but in the end finds his own unique place. 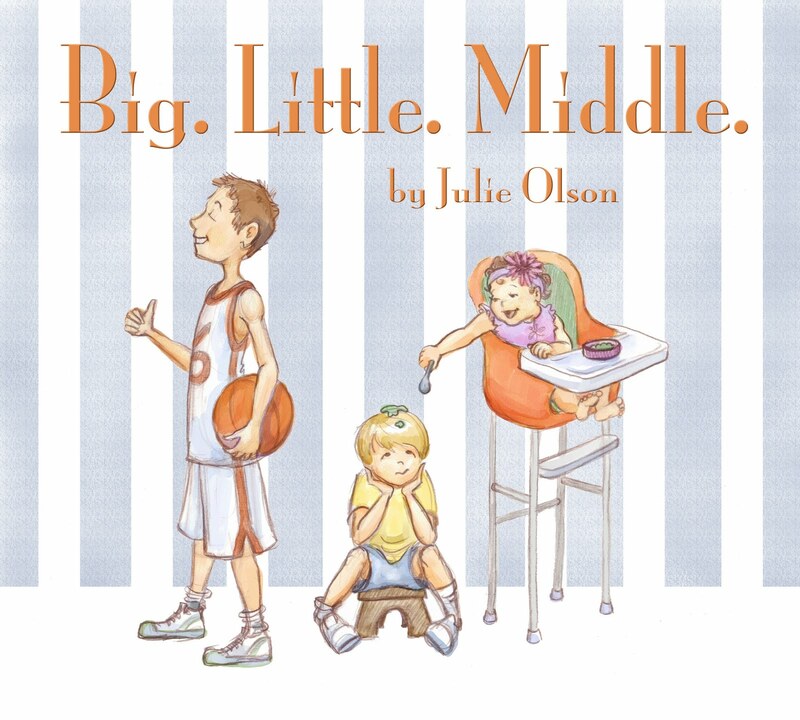 I included a picture of the cover below and the text from the first pages. Benny is a big basketball star. Kadie is a little princess. Benny is a big eighth grader. Kadie is a little angel.